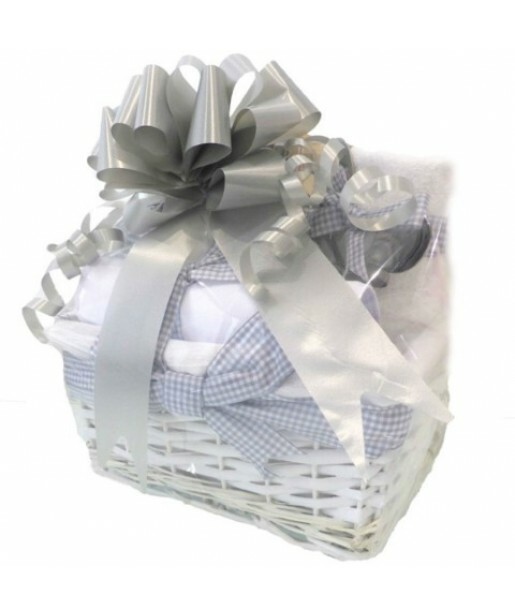 The storage basket comes with white cotton liner and grey gingham detail. 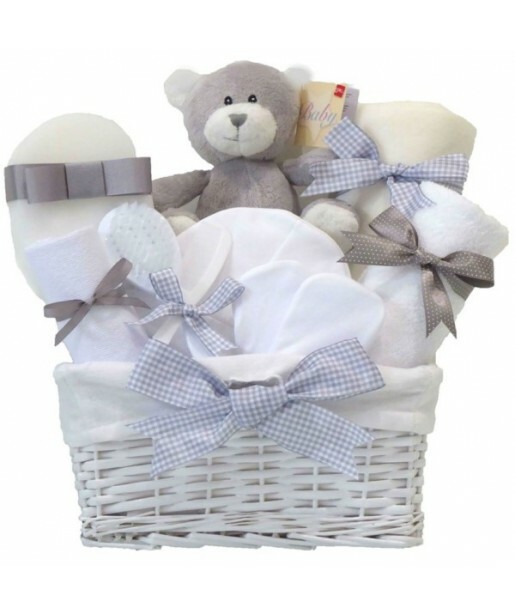 The white wicker basket can be used as decoration after those baby gift essentials have been used. 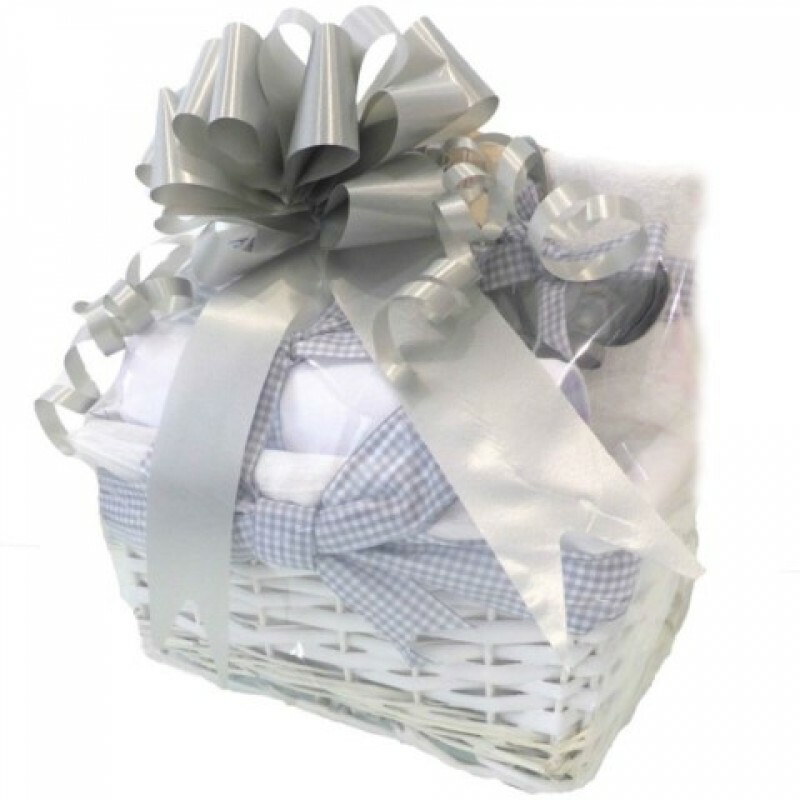 An ideal way to celebrate the birth of a baby boy or a great baby shower gifts idea. Whilst every effort is made to supply items as specified, the contents of each gift are subject to availability. Pitter Patter Baby Gifts reserves the right to substitute any items where appropriate, and guarantee that all replacements are of equal or greater value.